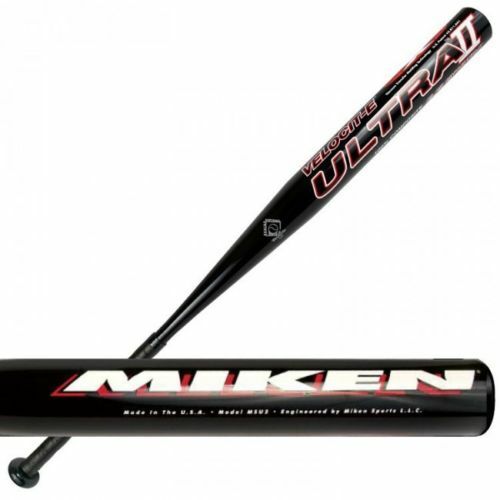 The Miken Ultra II is a threat to defenses everywhere. Built tough using Miken's premium performance composite throughout the entire construction and featuring the vaunted 100 COMP formula that revolutionized an industry, the Ultra II is a force to be reckoned with. The Ultra II is shielded by Miken's manufacturer-exclusive Carbon X-Shell technology, which not only acts as a stout composite covering for the bat's internal components, but adds performance capabilities as well. The barrel is equipped with a springy sweet spot and E-Flex Ultra technology improves barrel flex for incredible rebound. 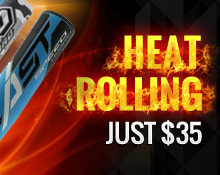 The Ultra II carries a balanced weighting profile for a high level of batter control and total aggregate bat speed. Miken's basketball-textured Ultra Bond grip ensures that every swing is precise and measured as well as powerful. The Miken Ultra II backs down from no challenge, just like those who carry it.